Houses & Homes VA: Do you know which home improvements are best for 2015? Do you know which home improvements are best for 2015? Homeowners know that improving their home is a great way to increase its value while making it more comfortable and efficient. The problem is choosing wisely and knowing which projects will get you the greatest return on your investment. Although very nice, not all projects do much to increase the value of a home and it is possible to spend more on a particular project than it may be worth in resale dollars. An annual report in Hanley Wood's Remodeling Magazine polls realtors as to what they think are the best home improvement projects to tackle if increasing the value of your home is of prime consideration to you. No one knows better than real estate agents exactly what buyers are looking for during their home search and which things they are willing to pay more for. 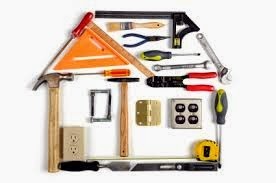 Deciding which home improvements are the right choice can be a daunting task to say the least and making the proper decisions can dramatically affect the value of your home. As you can see it’s nearly impossible to get all of your investment dollars back when selling your home but there is the added benefit of being able to sell your home quickly and for top dollar when the time comes. You will also note that 9 of the top 10 home improvements can be seen from the outside of the home proving once again that curb appeal is still a big deal when selling a home. Prospective buyers cannot be impressed by what they don’t see and getting them inside of the home is half the battle! For more detailed information from the report I suggest that you click the link above. The report compares construction costs with resale values for 36 different projects including additions, replacement items and actual remodels. A total of 102 different markets were surveyed and the results compiled into 9 different regions across the country. You can easily reference the report to see more specific data for your location.